4️⃣ If RSS feed on Washington Post is updated ➡ Publish the post on Weebly blog. 6️⃣ If Wordpress blog is updated ➡ Publish post on Facebook page. Those applets are only few from the hundreds of combinations one can make. Of course, we don't want to use all services, because most of them are not applicable. Besides Blogging, Bookmarking and Social Media, you can find services about Baby, Business Tools, Calendar & Scheduling, Clocks and Displays, Cloud Storage, Communication, Auto, Education, Contacts, Environment control & Monitoring and others. You can even connect your Amazon Echo device, send automated emails, make smart home systems, reminders, alarms, and get advantage of the thousands of recipes for private and business use. In our marketing, we usually use the first THREE: Blogging, Bookmarking, and Social Media. So there are lots of options and combination you can make with above services. Just need to pick the right for your business. This web service was launched 6 years ago, and today its applets could be used to support any marketing strategy. I'm a firm believer in citation and co-occurrence, which is still a theme of debate among the smartest marketers on the planet. Moz has interesting point of view for local citations and you can read that guide too. Google continuously experiment algorithm changes, and over the past couple of years, viral information and positive mentions have proven to be supportive in building authority and brand awareness. Now, IFTTT offers just that: Once you publish on your website, the post is cited on tens of authority sites and co-occur with another great sources from your industry. Think like when you publish a new post on your blog, it gets currated (without your intervention), on dozens of sites and social media assets that you've made previously. Isn't that wonderful? YES it is. This technique continuously generate movement, and send positive signals to search engines that eventually affect your positioning in SERPs, index your articles super-fast, and mark you as an authority, because you are cited with other authoritative websites. IFTTT could be mastered as long as you invest time in building a network that will drive traffic for the years to come. I will try to guide you through the process of making your own IFTTT network, and explain the 6 steps in details for creating a real authority booster. Primarily for beginners, it could be a good reading for more advanced marketers as well. If you really want to make success with IFTTT, first of all you need to visualize this system in your mind, and how it works as a whole. At the end of the day, traffic to your website is the most important thing. So you want to make RSS aggregators that give value to the users, and not just another bunch of sites that look suspicious to everyone. Do you wondering why I've mentioned RSS? Because RSS is the foundation of our IFTTT network. RSS (Rich Site Summary; originally RDF Site Summary; often called Really Simple Syndication) is a type of web feed which allows users to access updates to online content in a standardized, computer-readable format. These feeds can, for example, allow a user to keep track of many different websites in a single news aggregator. The news aggregator will automatically check the RSS feed for new content, allowing the content to be automatically passed from website to website or from website to user. This passing of content is called web syndication. Websites usually use RSS feeds to publish frequently updated information, such as blog entries, news headlines, audio, video. An RSS document (called "feed", "web feed", or "channel") includes full or summarized text, and metadata, like publishing date and author's name. Simply saying, this definition for RSS is also defining our IFTTT network. Because we want to pass the content to the user with the help of RSS feed. Now, do you want to see a super-powerful website that's based on RSS technology? 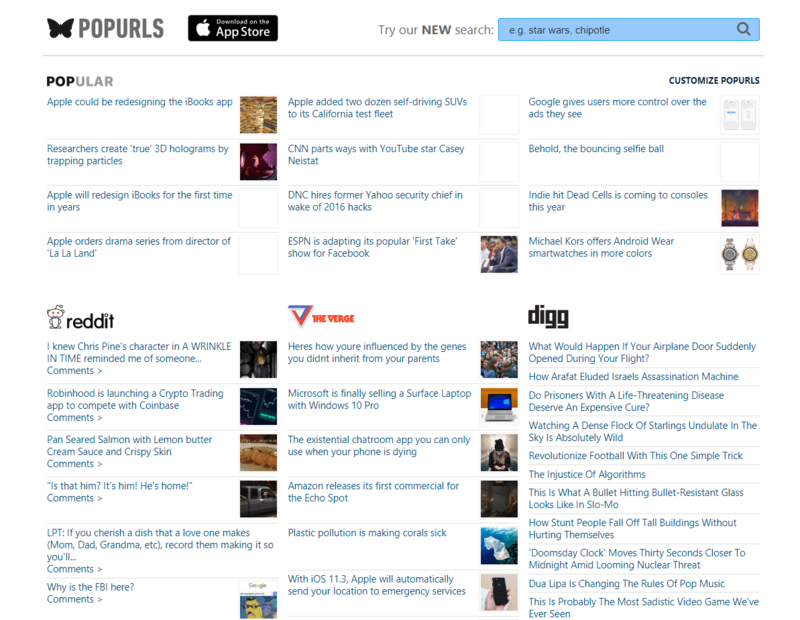 Head to Popurls, and see this beautiful RSS website, that functions on auto pilot thanks to RSS technology. What about its Domain and Page authority? Don't be surprised by the level of authority of this particular aggregating site. 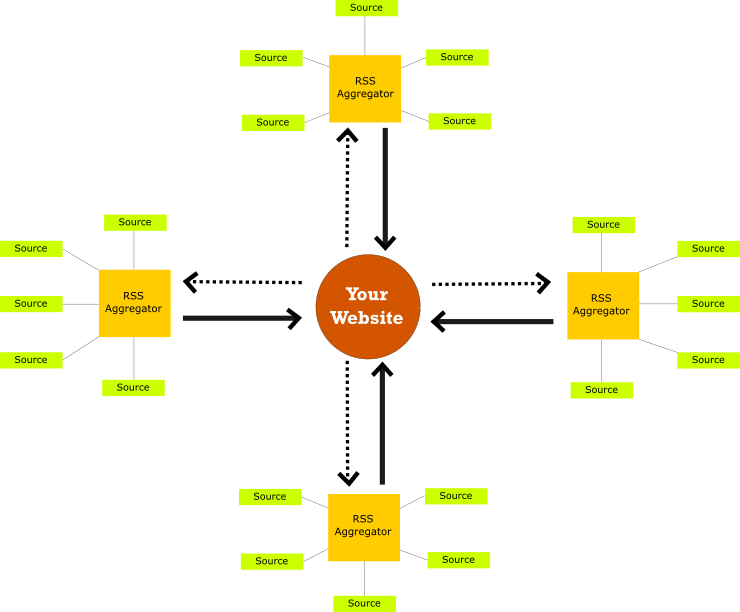 Now imagine a few sites like above, running on autopilot and sending traffic to your website. Not just traffic but links and authority as well. Your network will be composed of good-looking, informative, close to the topic RSS blogs, eventually gaining their own authority, while transferring to your website and the sources you chose. Once you create your first blog, you go for the second, the third, and that's how you build your aggregating network. It can be as big as you want; depending on your strategy, time, dedication, and success. Finally, we don't want to trick search engines by any means. The purpose of the network is to update users with fresh content of their interest. Because, if you build niche RSS aggregator sites, it's probable that beside mentions for your website, they will drive traffic as well. We are just acting as currators of great content by great sources, and just share what's new out there. And could even setup social media profiles, email subscription, and even ads. All that in order to look natural. We have the right mindset, and now it's to go further in the process which is organizing and setting up your network. I call it a persona, you can call it whatever you want. It's the author, the owner of the RSS aggregator. That's great as you can use your email address. and create account on IFTTT. Then connect one of each Wordpress, Blogger, Tumblr, Weebly. But what if you want to build more than 4 RSS websites? Then, you will need more IFTTT accounts, which means more email addresses, which means more than one persona. Create free sites on Blogger (only Gmail), Wordpress.com, Tumblr, and Weebly. Create Social Bookmarking and Social Media profiles. So you got everything to start! To start with create a new email (or any current), which is your first perona with the first set of sites. You may need Fake Name generator at some point. 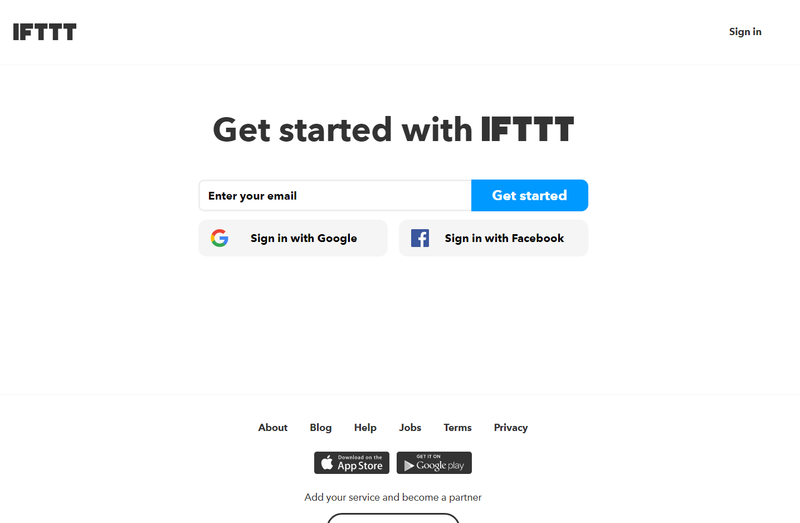 Go to IFTTT.com and register with your newly created email. Once you have your profile, you are ready to start with applet creation. And for that reason, you need all your sources collected in one place. Note that this is an iterative process, meaning that you can find new sources and add to the sites whenever you want. Now, let's see how to collect the best sources of information in your industry. 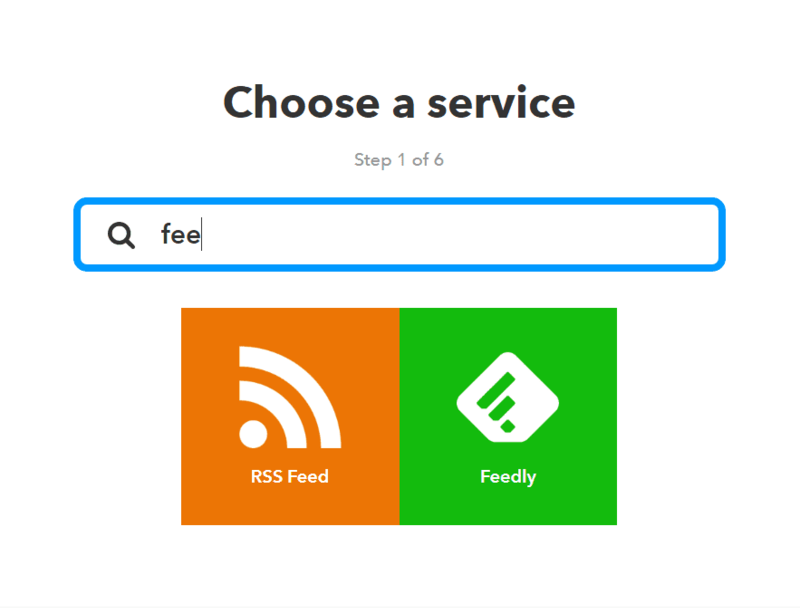 Important parts of building IFTTT asset are the sources you will pick to "feed" the IFTTT sites. It's because you want to pick RSS feeds from sources that publish frequently, as that will move your IFTTT network. When choosing source, you should already know how to organize the blog by categories or labels. And probably the most important aspect of this strategy is the RELEVANCE. 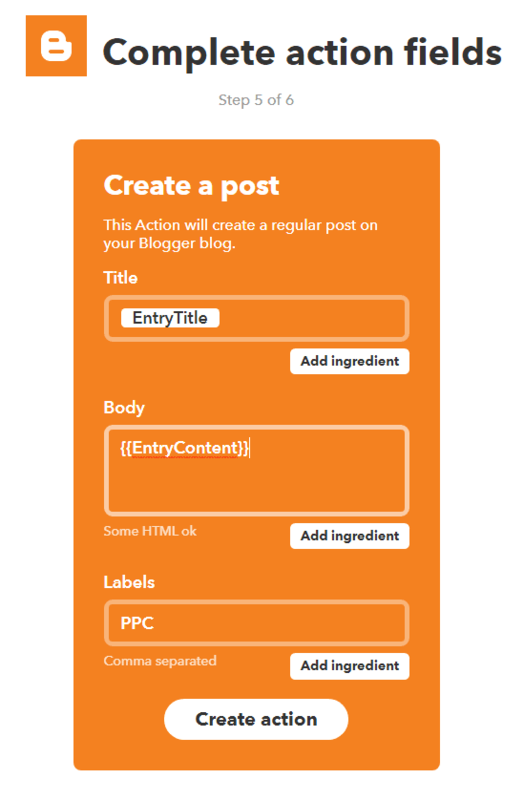 Well, if you run auto parts website for example, then you would like to create IFTTT network that would add topical relevance to you blog posts. That's great, but, how to find relevant sources and get their RSS feed? 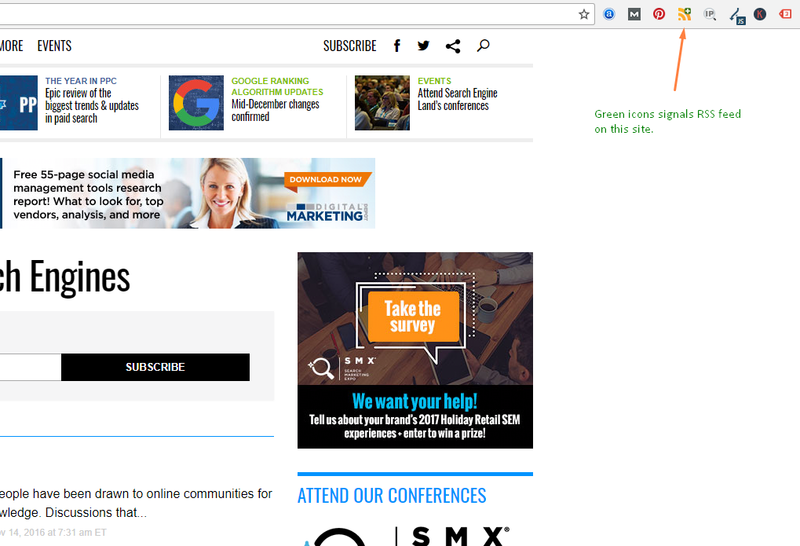 Although there are sites like TechRadar or NY Times that promote their own feeds, the majority of websites don't. 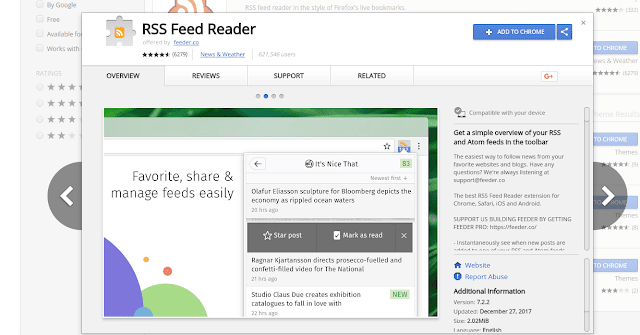 Now, you want some tool to check quickly if any website or blog has a RSS feed. I'm using RSS Feed Reader. However, you are not limited to this tool only. There are other extensions or tools, so the choice is yours. Install to your browser, and go to the next step. The blog you are reading now for example, would be relevant to search engine oriented blogs and sites. For that reason, I would search for "search engine blogs" to find authority sources for the topic, which also publish regularly. The idea behind is to find authoritative blogs in your industry, get their RSS feed and use is your network. On this way, your website will be mentioned among other big players in your industry, which makes it an important player too! You want to choose high-quality blogs that publish on a weekly basis. 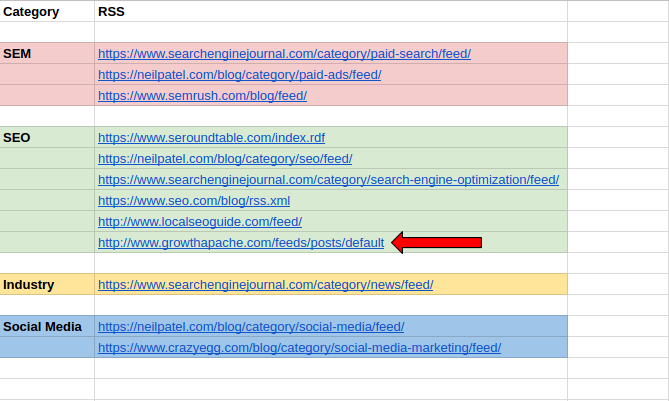 It's a requirement if you want your RSS sites to aggregate fresh content all the time. And you want that for sure! Organization is important part. You want to stay organized all the time, and keep all information and sources in one place. Prepare a document, organize by sites and categories, and start adding your findings. 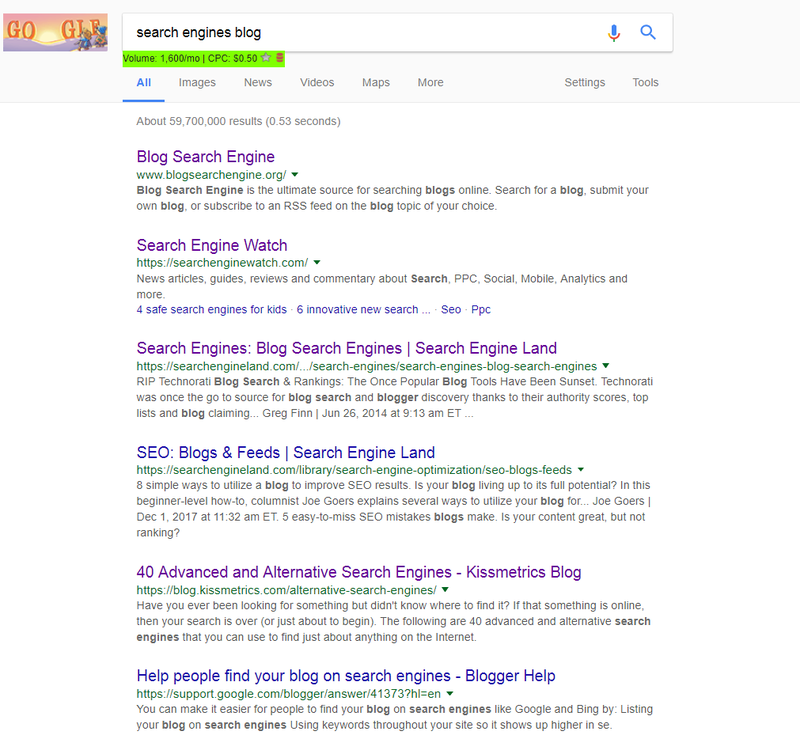 In my case, I'll open Search Engine Watch, click on the RSS extension icon, and get the feed of this popular and informative search engine blog. 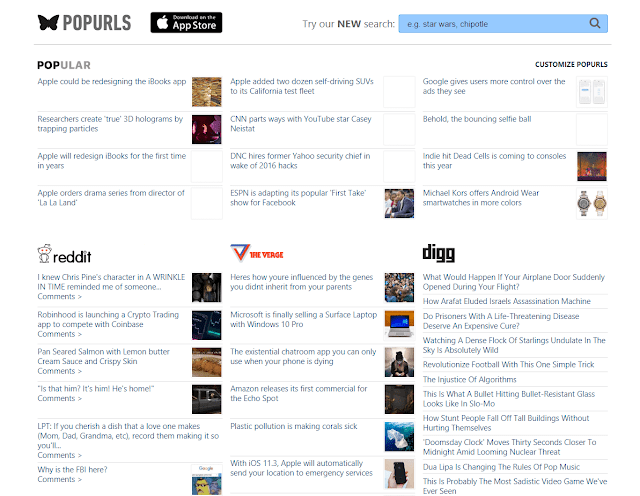 Our extension is useful here, because it detects if the blog generates a RSS feed. If you see a green icon -> The site have RSS, and you can check it. If you don't see a green icon -> The site don't have RSS, and can continue with the next site. Another way to check if a site has RSS feed is to view it's source code. This is also a fast check without the help of application. Just right click on any page of the site -> View page source, and search for "feed" or "RSS". Here, I can get the feed and place in my document to stay organized. At the end of this process, I'll have a doc with 20-30 sources to start with creating the IFTTT RSS aggregator. Blogs are mediums where all magic happens. Once a source is updated, IFTTT take the RSS feed and publish on the blog. The end result is rich summary or description of the source post, published on the IFTTT site we have created. In above image, our content is the green rectangle, while yellows are the sources we chose. Our content goes side by side with all great sources in the industry. 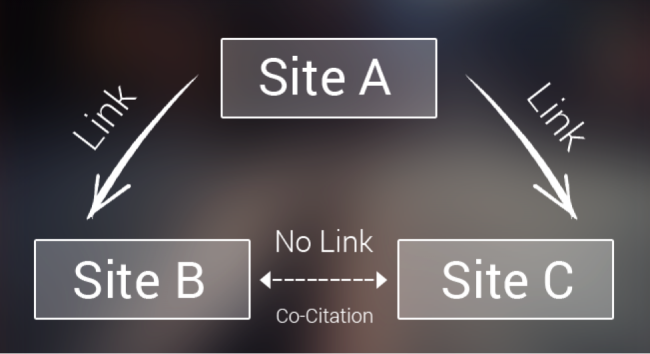 And by the rule of co-citaion and co-occurence, we are practicing a non-traditional form of link building. By now, you should have a profile on IFTTT, all your sources in one place. You can start with Blogger, Wordpress, or Tumblr. 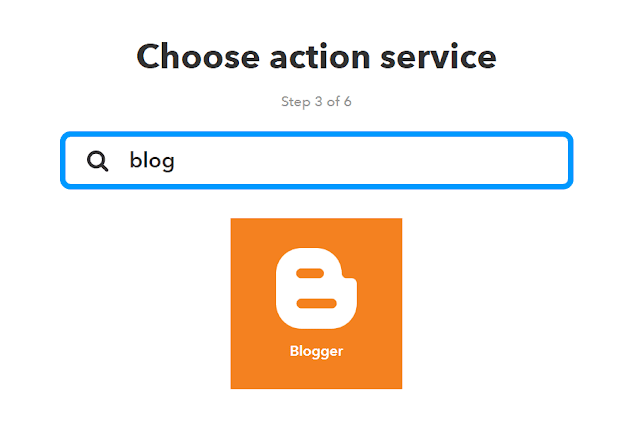 Here, I will show how to create an IFTTT site with Blogger. Go to blogger.com and sign in with your email. Create a new blog and give it a name and URL according your previous research. Now, that you've created a blog, make it look nice. Create a simple logo, About, Contact, Privacy and Terms pages. Find some free and responsive Blogger template and install it. If you are not familiar with Blogger, you can find some great resources on the Internet and make a decent blog. 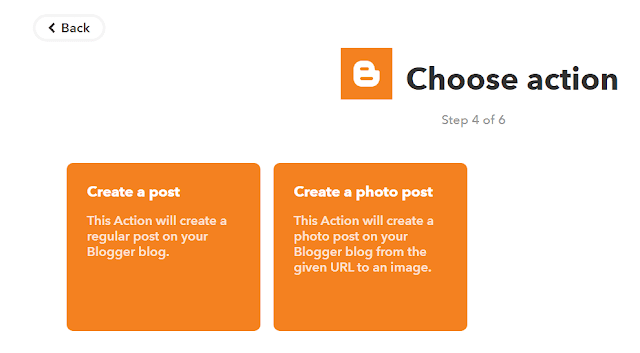 The same process is valid for the other blogging platforms. 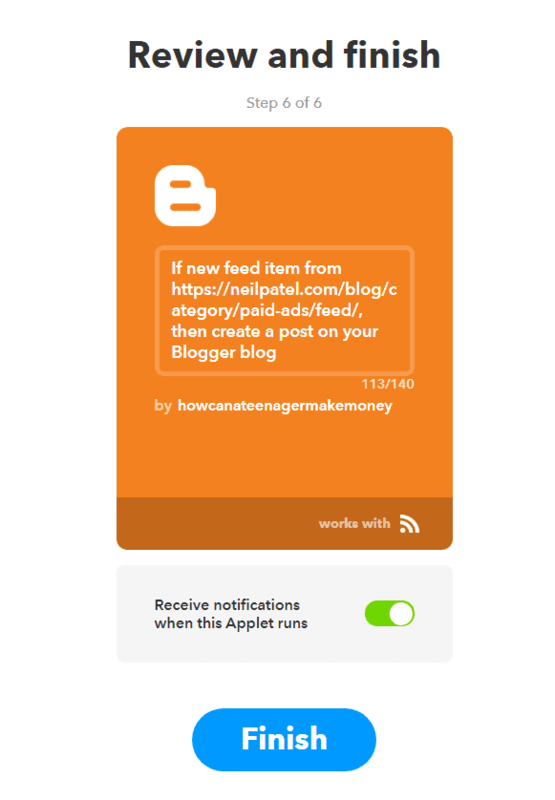 Once you're done with the free blog, you can start creating applets. The last but not least step of the journey is making the applet by connecting two services on IFTTT. Once "IF THIS" is triggered, "THEN THAT" is executed. All that packed in an IFTTT Applet. Step 1: Pick your "IF THIS" service. We need RSS so click on the RSS feed icon. Step 2: Pick the "THEN THAT" service. In our example, that is Blogger. 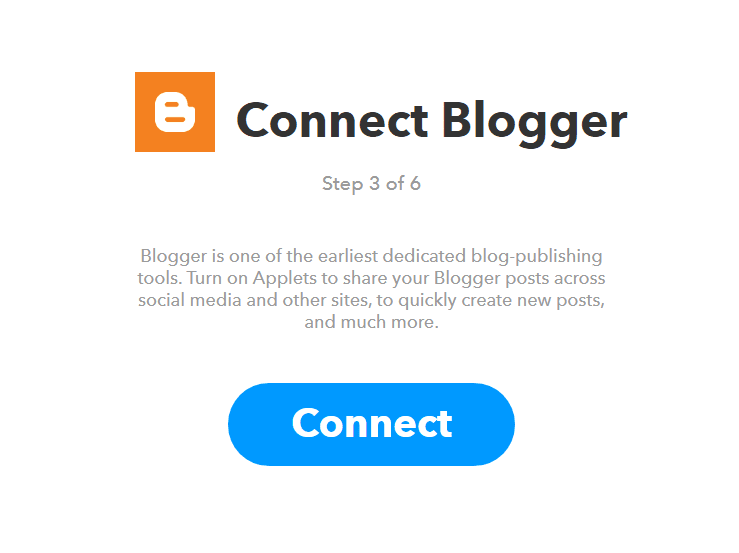 Step 3: One-time connection with Blogger. I wrote above that one IFTTT account could only connect with one platform. 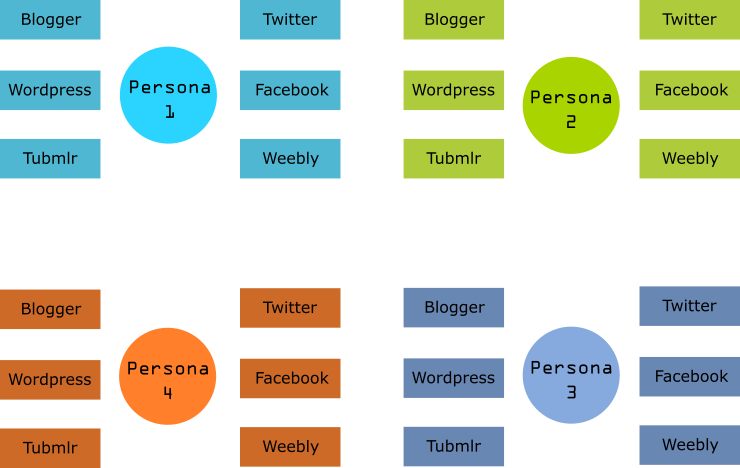 It means that having one account could connect one Blogger, Wordpress, Weebly, Tumblr, etc. Step 4: Depending on your strategy and type of business, you may want to create a regular post. Step 5: This is the default post settings. The probable fields of action are given on the next image. 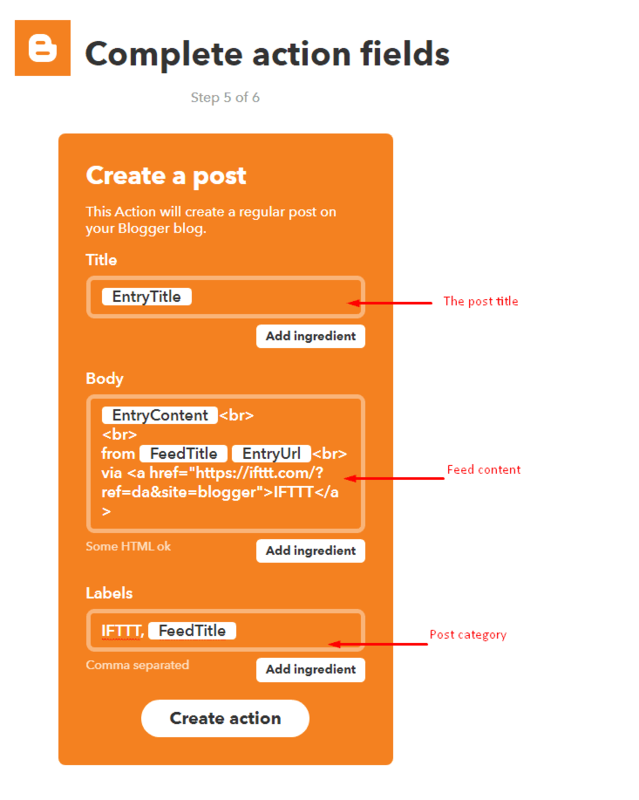 Step 6: The body is where a snippet of the post (RSS content) is shown on the aggregators. If the RSS source contains link to the original post, delete the FeedTitle and EntryURL to avoid link repeating. As for the Labels, here you can delete default entries and put planned categories. Finally, click on "Create action"
Step 7: Review and finish. You've just created your first IFTTT applet. You can repeat the process for the platform I've mentioned above, and probably a few other blogging platforms. From here now, it's all about quality scale. Which means you learn from the past RSS sites, and grow your aggregating network with better distribution in support of your digital marketing. 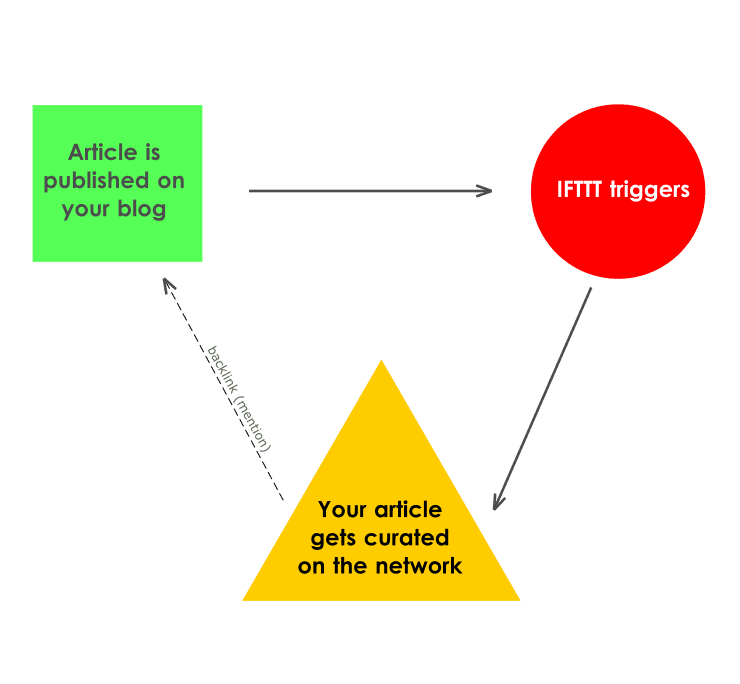 Although IFTTT could surprisingly improve your site's visibility and even SEO, there are certain things you want to avoid when build IFTTT network. First of all, avoid making low quality sites with poor design. By low quality, I mean bad choice of RSS sources, messed categorization, and generally poor planning. Also, try to be as organized as possible because you want to control the growth. Keeping your information in one place is certainly the right approach to achieve success. IFTTT cam do miracle for you if done right. Consider your network as a valuable asset and powerful way to boost you marketing. If you want to experiment further and want to go deeper with IFTTT, think of advancing your network with aged domains. If you're dealing with private blog networks, this guide may be for you as well. Don't forget to share what you've done with IFTTT, share thinking or give your honest opinion.